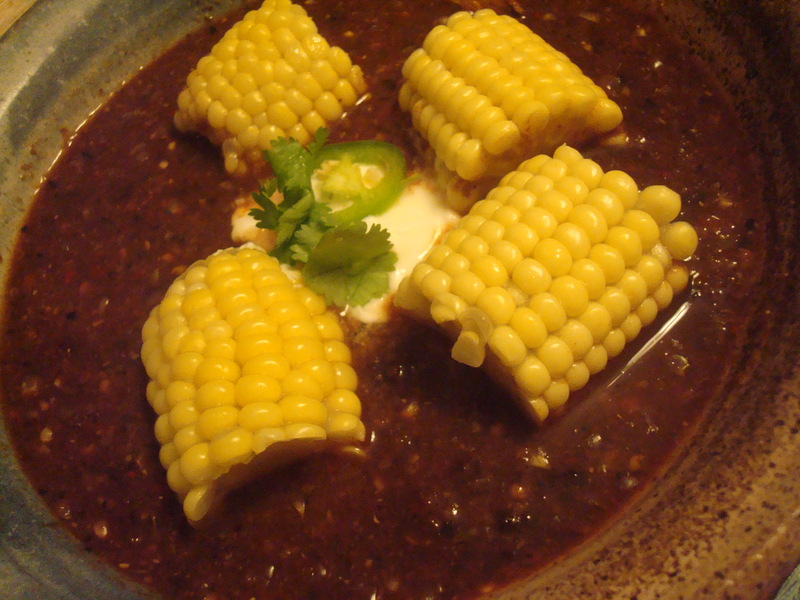 Diana Kennedy's Oaxacan soup, with sweet corn from Luke Beene's organic Southtown Corvallis urban farm. For some reason, I thought the local sweet corn season was over. Or that it never really happened, with all the poor weather we’ve had this year. So I was happy to find delicate fresh ears of corn at Luke Beene’s stand at the farmers’ market today. I arrived at closing time (as usual), rushing around in a panic to buy this sweet end-of-season produce (corn and raspberries) before it’s too late. Had a corn revelation today. 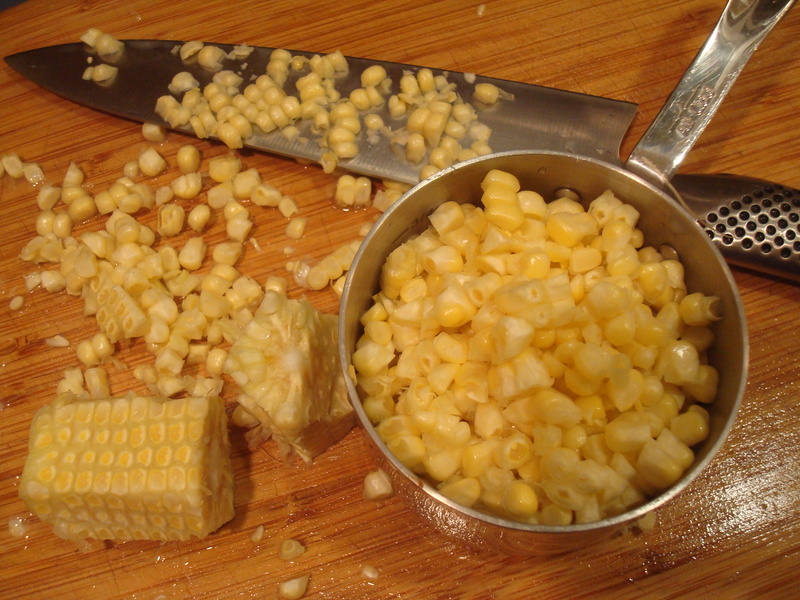 Cut the cob into chunks and only then slice off the kernels. That way they don't spray everywhere. Your knife stays closer to the cutting board. Finding the corn meant I could make Diana Kennedy’s Chileatole De Elote (Chileatole Of Fresh Corn) soup. I knew Mexicans made soups with floating chunks of corn still on the cob, but I’ve hardly tried them. This recipe is from Kennedy’s beautiful-sounding new love letter to Oaxaca cuisine. 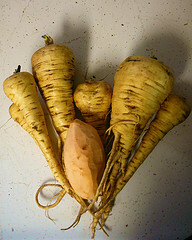 The recent NPR piece set in her lush vegetable garden and kitchen cast a spell on me. There’s just something about Oaxaca. Of course, it’s the only place in Mexico we’ve been, but we’re not alone in believing the cuisine, with its moles, is among the best in Mexico. That’s where we did the Seasons of My Heart cooking school. And we continue to enjoy Oaxaquena comida here in Corvallis, as a majority of our Mexican immigrant population hails from that state. 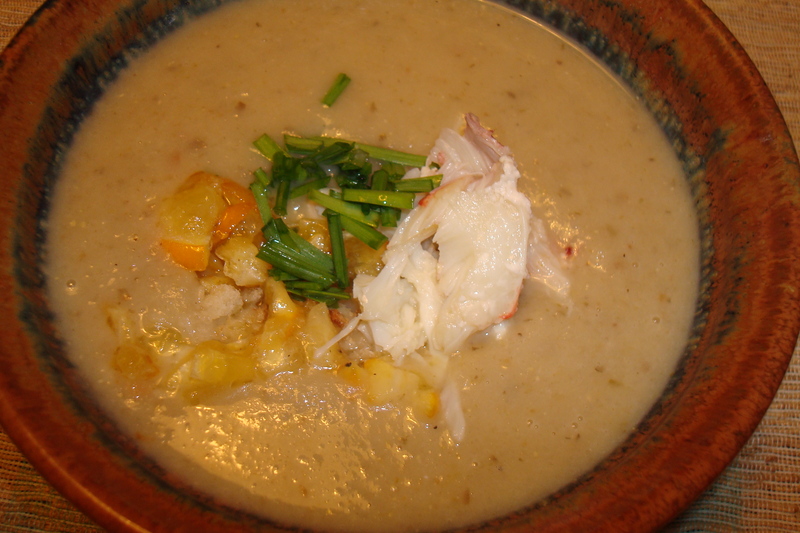 The sunchoke soup, garnished with crab, sourdough breadcrumbs, roasted meyer lemons and chives. 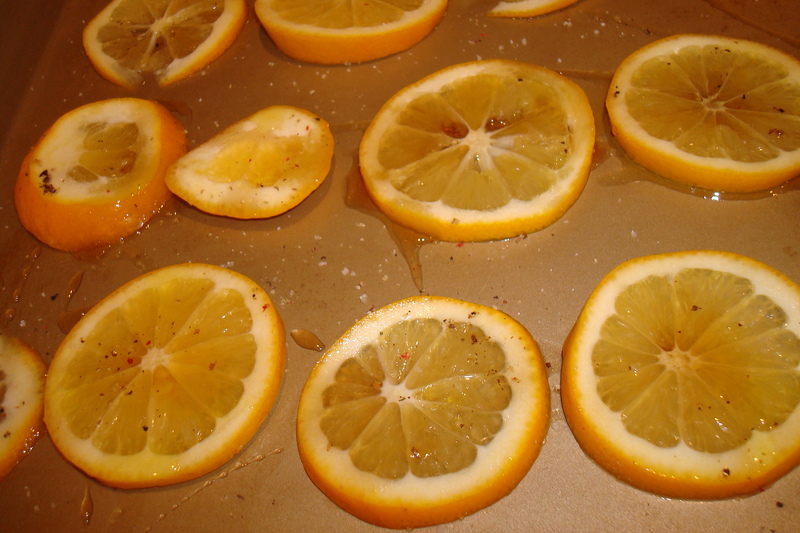 Roasted Meyer Lemon: The Citrus I Still Don't Quite Love. This sunny, citrusy soup caught my attention in the excellent newsletter (chock full of recipes) the Ferry Plaza Farmers Market organizers in San Fran put out. I had nutty knobs of local Jersusalem artichokes (or sunchokes) in the fridge, I wanted to sneak in some crab once more this season, and I’m always game to give Meyer lemons another chance. The soup was subtle yet refreshing. 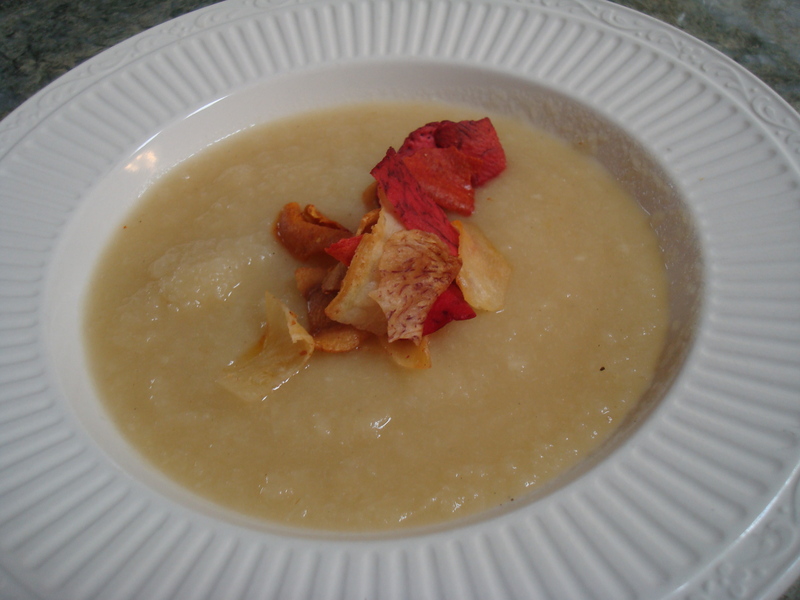 The puree didn’t complete with the sweet, mellow crab meat. I still don’t love Meyer lemons (they have some faint mustiness, kind of like kumquats, that’s off-putting). 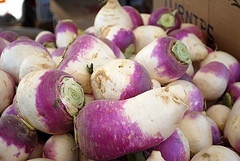 But they caramelized upon roasting, giving the soup a welcome tang. I didn’t quite understand the recipe (was I supposed to strain the cooking water off…I didn’t) but it still came out well. I fitfully added some mustard, capers, tarragon vinegar, white wine, little dribs and drabs of things, to punch up the broth. We got quite a deal on the one cooked crab Dan shelled for the meat. Gotta love Richey’s Market-we’ll be sad to see it go when/if Market of Choice comes in. $5 a pound seemed like a good deal. Fortunately, it only takes a few times for me to have my crab fill until next season.